Whether it be at work, rest or play; a candy bar cannot make that pain go away…but your ergonomics at the workstation, at home or doing any activity can make a significant difference to your health. 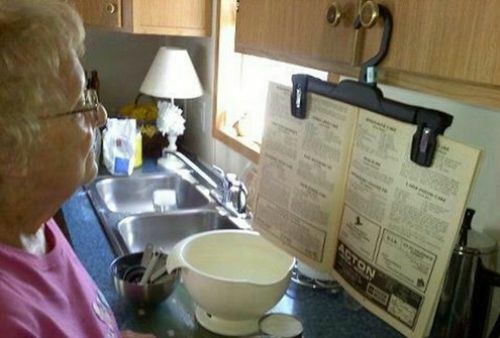 We can often find those simple modifications, those easy answers to perform a task easier, and safer. The problem is that many of us do not take the time to change our habits, make changes and implement them consistently at our busiest work areas…the kitchen, in this case. The ‘pant hangar’ keeps the recipe near eye level, there is no awkward posture to maintain and the cabinet can even be accessed quite easily, well done! This concept always applies to those that must ‘sit for a living’, the ‘desk jockeys’ of the finance, legal, grain and media industries here in Downtown Winnipeg. 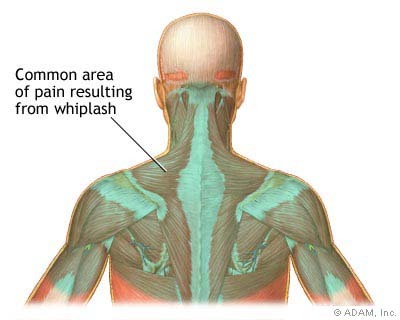 Like a ‘whiplash’, those muscle aches can proliferate throughout the upper back and neck. Such that, you must remember to adjust your computer monitor height; use some yellow pages or photocopy paper bundles. Some recent ergonomic assessments have resulted in 8-10 inches of monitor height changes to accommodate the individual’s line of sight. Your eye level should be equal to that of the curser start position, in the most frequently used software program. This position allows the eye to adjust to a variability of 2-3 inches of text/toolbar and decreases or eliminates the chronic forward head posture. Let your human resource department or health & safety manager know that I am available for any size group education, assessments and ergonomic design.